Engine Repairs & Maintenance:Engine repair, oil changes, timing belts, cooling system flush, tune-ups, engine gaskets and seals, serpentine belts & more. Electronics & Emissions Repair:Computer diagnostics, "Service Engine Soon" light testing and repair, sensor replacement, electrical system and accessories repair and installation, emissions system repair & more. Wheels, Tires & Alignments:Custom wheels, passenger, light truck and performance tires, tire repair, tire rotation, steering service, suspension service, wheel alignments & more. 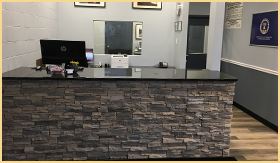 Wallingford Tire & Auto is a family-operated business that has been building relationships and servicing the vehicles of families and businesses in Wallingford, CT and the surrounding communities since 1984. We employ a dedicated staff of ASE-Certified service technicians with over 75 years of combined experience to help you maintain your vehicle per your factory warranty and for years of trouble free driving after your warranty expires. Wait in comfort in our newly remodeled facility! 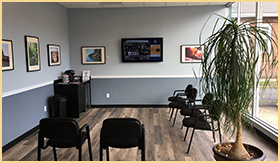 Wallingford Tire & Auto performs all types of automotive repairs and service, from simple oil changes and routine maintenance to complex electronic testing and major mechanical repair. Our trained technicians can service and repair all makes of foreign and domestic vehicles. As a leading tire and wheel installer in Connecticut, we offer most major brands of passenger, performance, all-season, light truck and winter tires, plus steel, aluminum and alloy wheels, backed by exceptional manufacturer warranties and expert installation. We even give advice on proper care and maintenance. Click the logo to learn more about the organization.